After seeing TV ratings drop last season, the NFL is experimenting with ways to keep fans engaged and to appeal to a younger audience through technology. 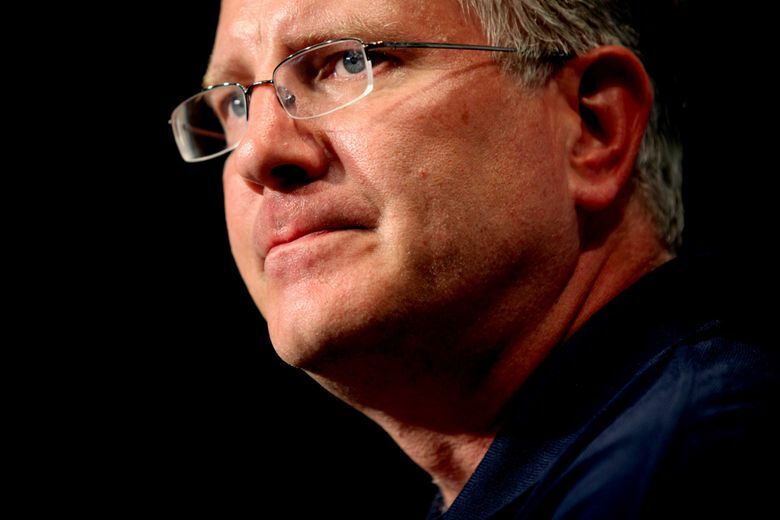 Tod Leiweke has worn a few hats since leaving his job as Seahawks president back in 2010, but his current role as the NFL’s No. 2 guy presents some immense challenges. One of the biggest, as the NFL’s chief operating officer and next guy down from Commissioner Roger Goodell, is figuring out what to do about the league’s declining TV ratings. As was chronicled often last season, the NFL saw an 8 percent ratings decline over the previous campaign, with blame cast on everything from the quality of play, to the U.S. presidential election, to millennials, to pirated online streaming, to Colin Kaepernick’s national-anthem protest. Now, the league and its executives are trying to figure it out before a one-year dip becomes a crisis. Speaking at the second annual GeekWire Sports Tech Conference at CenturyLink Field last week, Leiweke discussed some of the conventional and unconventional approaches taken. Not surprisingly, a lot of it involves technology. One of those involves entering the homes of fans and “replicating the game experience’’ for them and using eye-tracking technology to monitor what they follow and what their behavior is during commercial breaks. The league suspects more people than ever are following its games, it’s just not showing up in the Nielsen ratings. The league has seen a jump in streaming-device use and knows that younger generations often prefer watching games that way rather than via traditional broadcasts. In response, the league signed a deal with Twitter last year and received $10 million for the rights to 10 games. This year, Amazon has reportedly paid $50 million — though this amount has been disputed — for the same 10 games and was said to have received $30 million in free marketing. Still, those streaming amounts pale next to the billion-dollar deals signed with TV networks such as FOX, CBS and ESPN. Meaning the league must find ways to keep traditional outlets happy while maximizing revenue from other viewers that might not use them. Leiweke says that has meant seeking ways to change the “pace of play” and the way games are presented on TV. The NFL feels fans don’t mind watching some TV advertisements, nor are they all that put off by games going a bit over three hours long. Previously, the league would break for commercial after a point-after-attempt, come back for a kickoff and then go to another break. The plan for now is to eliminate that as much as possible and reduce the number of breaks from five per quarter to four. Leiweke said the league plans to give Microsoft surface tablets to officials on the field so they can review disputed plays quicker without having to go “under the hood” to make a call. Which organization Leiweke will ply his trade for in coming years has been the subject of some speculation lately. His brother, Tim Leiweke, is CEO of the Oak View Group, which is seeking to renovate KeyArena for $564 million into a modern NBA and NHL facility. There is some speculation that Tod Leiweke would leave the NFL when his contract is up in a couple of years and come to Seattle to run an NHL and NBA operation here. He served as CEO and minority owner of the Tampa Bay Lightning after leaving the Seahawks in 2010 and was a close associate of Jac Sperling, who was spearheading a group interested in building a Bellevue arena in 2015. It was just days after that Bellevue effort collapsed in July 2015 that Leiweke left the Lightning and took the NFL job. Leiweke wouldn’t comment on anything NHL-related or on what his brother — who spoke later in the day at the GeekWire conference — is trying to do. That’s hardly going to quell speculation about his next challenge. But for now, he insists it’s all about football and getting as many eyeballs on it as possible.